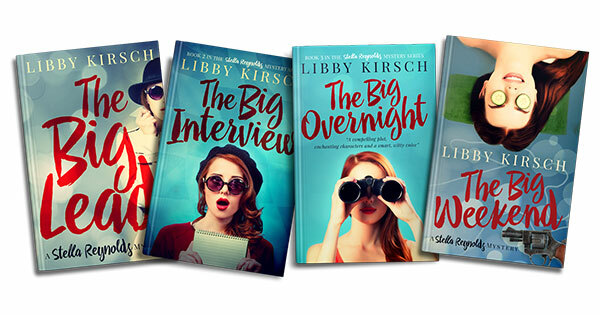 Though Libby Kirsch no longer appears on television, her career as a news anchor lives on through a character she created as a novelist. Based on many of the experiences that Kirsch endured as a news reporter, including while with WDTN (Channel 2) for eight years, is Stella Reynolds, the main character in a four part mystery series of books. While Kirsch has many wonderful memories from being an on-air personality, such as when Phil Donahue announced her first pregnancy on the WDTN morning show, it’s mostly mistakes she made that gets translated into the books. Though humiliating at the time, they later proved to be moments of inspiration in the development of Stella. “In the first book, she starts out as a news reporter in Montana (just like me!) and let me tell you, so many crazy things happen when you’re new in a small TV market. You make so many mistakes. And not small ones either-big, terrible, ugly mistakes live on air! It’s probably the most public on-the-job-training you’ll ever find. I’m so thankful my early days happened before You Tube could have memorialized all those mistakes. But I like to remember some of the bigger blunders I’ve made (or watched others make) and craft them into something new that Stella can go through,” she said. 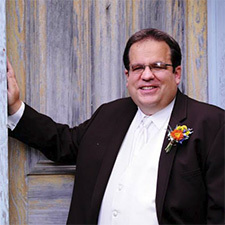 In 2002, Kirsch began at WDTN as a general assignment reporter, and over the next eight years moved from a weekend to a morning anchor, and eventually a weeknight anchor. She left in 2010 and moved to Michigan due to her husband’s job. Kirsch thought she would just take a few months off to get settled, but three kids, and five years later she was still at home, in need of a creative outlet. She started writing in the mornings before anyone was awake and during nap time, right at the kitchen table. Four months later she had written a book. It was Kirsch’s third grade teacher, Mrs. Lanese, who first got her interested in writing, by allowing Kirsch and a friend to stay in from lunchtime recess for two weeks to write a book. Thirty-some years later, Kirsch rediscovered her love for writing, though she really never stopped. “News writing was such great training for what I do now. I’m constantly running into other writers dealing with writer’s block. When you have hard deadlines, multiple times a day, you don’t have the luxury to have writer’s block. You just have to get the story done and out there,” said Kirsch. In addition to compelling mysteries, Kirsch also makes an extra effort to include some comedy within the books for readers to enjoy. “I draw quite a bit from my own experiences, but then try to make what happens to Stella more horrible- so it can be funnier. I think that’s one of the fun things about my books. There’s a great mystery, but also, I hope, some great laughs thrown in,” she said. Currently, Kirsch is working on a fifth book in the series, in which Stella has gone from a newbie reporter to a network pro. However, she still makes some gaffes, which when seen my millions of viewers are even more embarrassing for Stella to deal with. In addition, Kirsch is starting a spin-off series, featuring a side-kick from the Stella series, Janet Black. Janet used to be Stella’s roommate, but is now out on her own and becomes an unwilling private investigator when police narrow in on her boyfriend as the prime suspect in a murder. She know he’s innocent, and sets out to the find the real killer. The book titled Last Call is with the editor. Much like Stella, the character of Janet also works as one of Kirsch’s past professions, a bartender. “My husband and I joke about what other former jobs I’ve had that I might write for a future main character. The list includes exciting (ha!) things like a ‘sandwich artist’ at a sub shop, a waitress, a nanny, or doing data entry. Ugh. Then again, I was lead singer for a rock band in college…that could be interesting,” Kirsch laughed. There is plenty of excitement within Stella Reynolds for readers to enjoy. The mystery series consists of The Big Lead, The Big Interview, The Big Overnight, and The Big Weekend. They are all available on Amazon, iBooks and Nook. Go to libbykirschbooks.com for more information.